Doctors' Ignorance Is A Barrier To Care For Disabled : Shots - Health News Nearly 20 percent of Americans have physical or mental disabilities, yet only a small fraction of medical schools teach students how to talk with disabled patients about their needs. Something curious was happening in the emergency room. Eight patients had come in within minutes of each other. Almost instantly, the junior resident, two interns and a medical student signed up for all of the them – except for one. Half an hour passed, then an hour. As the senior resident doctor at the time, I supervised the others as they tended to the middle-aged man with chest pain, the elderly woman with a broken wrist and the teenage girl with a sore throat. New patients kept coming in, and they, too, were seen quickly. Still, there was that one patient everyone seemed to avoid, a man in his 20s with back pain. I watched as the medical student picked up his chart, then placed it back on the rack. Nurses, too, weren't going to his room. Finally, I assigned a team to care for him. "We drew the short straw here," I overheard the nurse say. The resident sighed. "I already ordered labs and an X-ray. It's going to take too long to examine him, so let's just get this started." No. All he had was a wheelchair. He had been in a car accident five years before and was paralyzed from the waist down. He told me that he was used to waiting, to being the patient that providers avoided. His back pain was from a kidney infection, and it turned out that all he needed was an antibiotic. 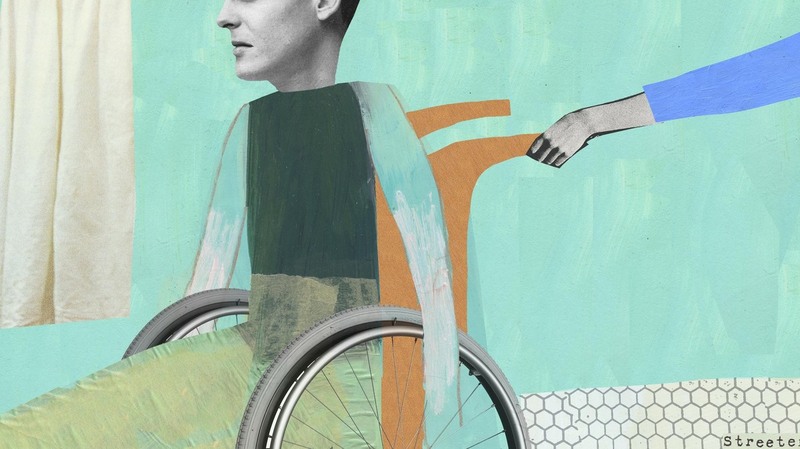 Though nearly 20 percent Americans have physical or mental disabilities, studies show that less than 20 percent of medical schools teach their students how to talk with disabled patients about their needs. More than half of medical school deans report that their students aren't competent to treat people with disabilities, and a similar percentage of graduates agree. Accreditation and licensing boards don't require clinicians to demonstrate knowledge or skills in treating patients with disabilities. Numerous studies have found people with disabilities receive inferior health care, including less information about prevention and fewer screening tests. Mistaken assumptions are a big reason. Doctors and nurses have expressed surprise to me when I explained that they have to discuss risks and benefits with patients who are cognitively impaired. Some doctors are also surprised to learn that they need to ask someone who has a physical disability about sexual activity. Last year, researchers called doctors' offices in four U.S. cities to make an appointment for a fictional patient who was obese and wheelchair-dependent. One in five offices said that they wouldn't see this patient, citing reasons that included a lack of trained staff and a lack of equipment to help patients onto an examining table. Medical offices routinely provide phone interpreters for patients who speak a language other than English. Medical schools teach students about diseases so rare that they affect only one in a million people. Yet there's been only halting progress in the care of tens of millions of Americans with disabilities. The Americans with Disabilities Act is supposed to grant civil rights protection to individuals with disabilities, but it lacks specific provisions to ensure equal treatment in medical settings. A few medical schools have started pilot programs to teach students about patients with disabilities. At the University of South Carolina, a single 90-minute lecture made medical students more comfortable treating people with disabilities. Other med schools are encouraging students to rotate through rehabilitation centers and are incorporating interdisciplinary learning with occupational and physical therapists. These programs are a good start, but aren't nearly enough. Disabilities education needs to be a central part of medical training in the same way that learning to care for people from different cultural backgrounds is now. A few weeks ago, I attended a workshop where a doctor and nurse practitionerwho themselves had disabilities spoke about their experiences as patients. They talked about barriers to care and the stigma they face, and provided some suggestions to clinicians. Afterward, I watched as two of the attendees, a resident and a nurse looked at a patient's chart. This was another patient in a wheelchair. I held my breath. This time, nobody put the chart down. They went straight into his room. Dr. Wen is an attending physician and director of patient-centered care research in the Department of Emergency Medicine at George Washington University. She is the author of "When Doctors Don't Listen: How to Avoid Misdiagnoses and Unnecessary Care," and founder of Who's My Doctor, a project to encourage transparency in medicine.